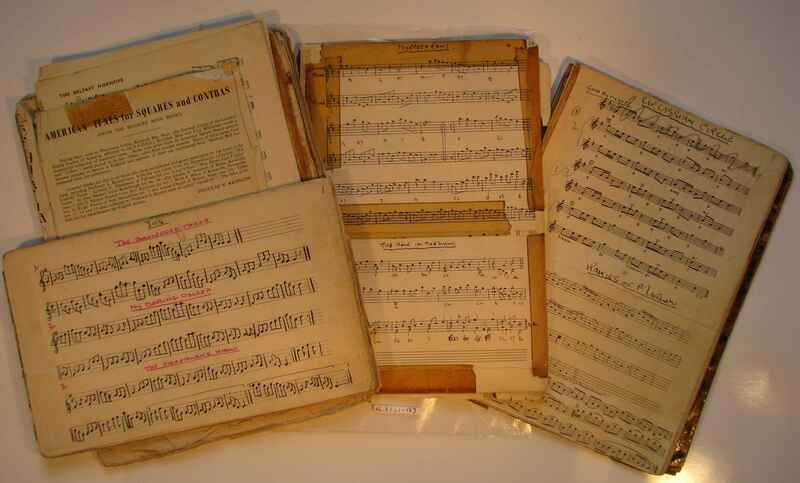 Full Description: Minting Music: Folk Dance manuscripts and sheet music. Harry Minting played and taught with many local music groups, and specialised in the Folk Dances of Britain and Europe. Here is a large bundle, mainly manuscripts of folk tunes, and distressed copies from “Tunes for the ‘Cowboy’ Square dance” , “American Tunes for Squares and Contras” and “Kerr’s Collection of Merrie Melodies”.